I want you guys to meet Pretty Dresses In The Laundry! Just recently they interviewed me and it was such a great experience! My first interview ever! I think it`s a good start, right? To read the interview click here. 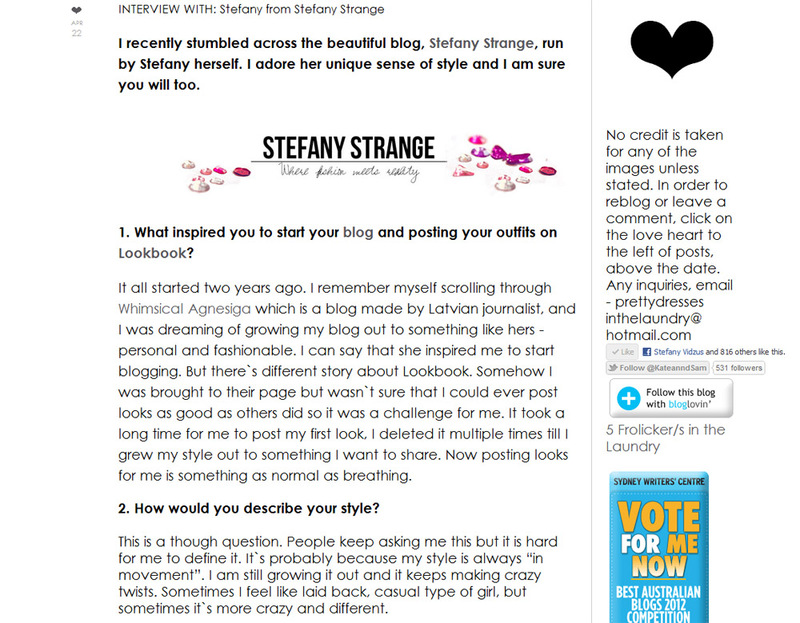 Their blog is so interesting and well designed. I could scroll through it all day. 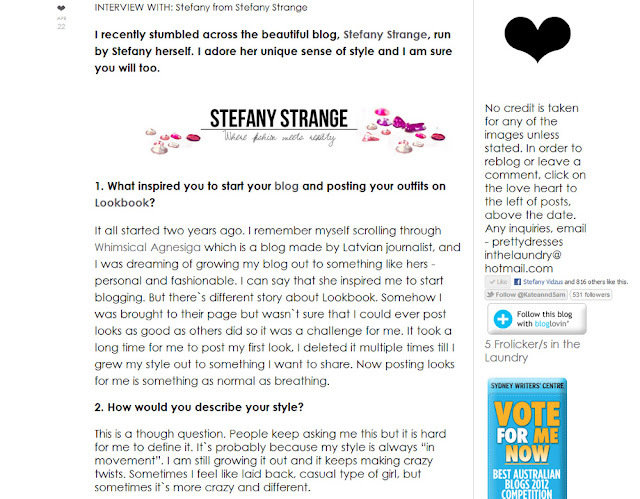 Be sure to check out their blog, follow and read more of their interviews, they are really inspiring! Have a great weekend! You did wonderfully dear! Pretty amazing interview and milestone if i do say so myself! Can't wait to see your many interviews to come! Congrats for your first interview, good start!